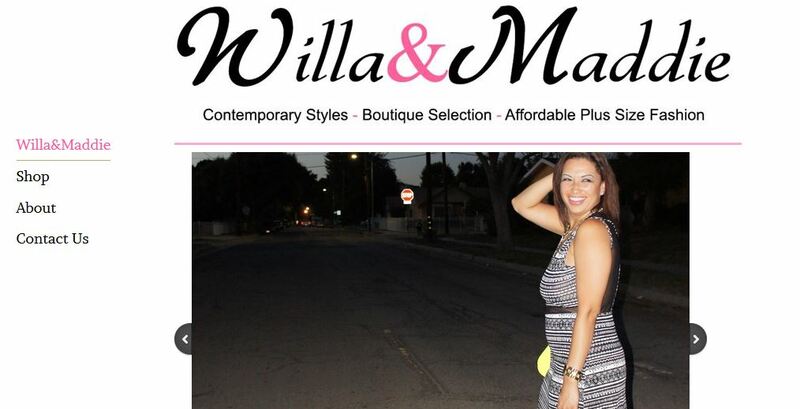 The newly launched Willa & Maddie is giving away a $50 and $100 gift card to two lucky winners! Contest runs 11/12-11/25/13 12PM PST. US Residents only please! For shoppers and fans – Win a $ 50 gift card! Each following receives one entry! Bloggers and Social Media influencers win a $100 gift card! Re-blog or post the about contest with links on your blog or Facebook page. You must re-post the contest no later than 11/22/13. Must include all of the links above. Post link to reblogging in comments. This entry was posted in Deliciously Chic Contest and tagged Fashion, Full Figured, Plus Size, Willa&Maddie on November 12, 2013 by Hillary. I am not plus size, I am not regular size, I am somewhere in the middle. Being 5’11 and averaging between 160-170 and with a full bust; I sometimes difficult to find contemporary of fast fashion things that fit. Plus size of full figured girls have it far worse, especially those looking for contemporary styles at affordable prices. 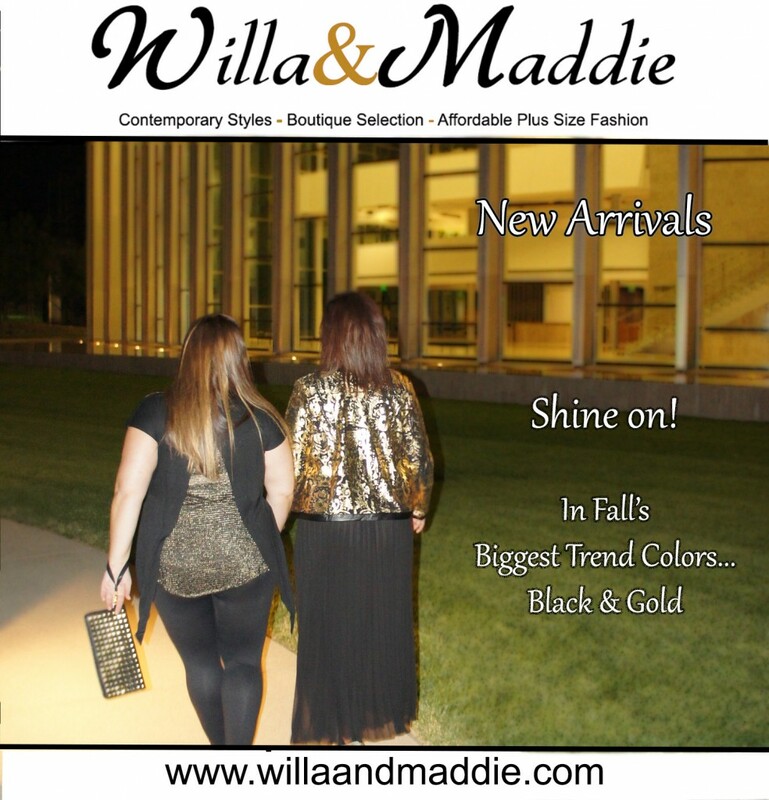 The newest eBoutique to help bridge the gap between Fab and Full Figured fashion is Willa&Maddie. The founders of Willa&Maddie became frustrated with the lack of fashion representation and selection for plus-size or real women.Willa&Maddie brings together fashion designers and fashion professionals with over 20 years’ combined experience. The founders have worked with top contemporary brands and high end fashion retailers. Willa&Maddie offers contemporary styles in a small boutique selection (so you don’t have to worry about everyone having the same dress) at affordable prices. Launching with a small collection that is perfect for this pre-fall transitional weather, still hot, but you know fall is right around the corner. 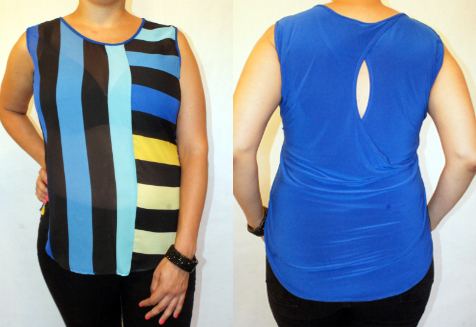 Light-weight color block tank for those hot September days. Fabulous career and day dresses. Check out Willa&Maddie and use promo code WMFirst to receive 20% off your first purchase! This entry was posted in Chic from the Streets, Shopping and tagged Fashion, Full Figured, Plus Size, Willa&Maddie on September 5, 2013 by Hillary.